A few weeks ago, Larry Hurtado posted on the question as to whether the ancient Gnostics were or were not intellectuals. Hurtado claimed that they were not, that what the Gnostics wrote was not intelligent discourse, but mere esoteric “mumbo-jumbo.” Hurtado was responding to a fairly common assumption in some modern circles that the Gnostics were the marginalized intelligentsia of early Christianity (and marginalized by fellow Christians who were not as brilliant). Hurtado’s post sparked an outcry by scholars specialized in the study of ancient Gnosticism. I followed several such threads on Facebook, where at least one scholar complained that it would have been nice if Hurtado had done his homework as to the current state of scholarship on Gnosticism. More publicly, April DeConick of Rice University posted a counter to Hurtado on her own blog. For DeConick, Hurtado overlooks several key figures of the so-called “Gnostic” movements who are intellectuals: Basilides, Valentinus, Ptolemy, and Heracleon all come readily to mind. In response to DeConick, Hurtado accepted her correction, evoking in a very odd way Michael Williams’s Rethinking Gnosticism: An Argument for Dismantling a Dubious Category (Princeton University Press, 1996) (which attempted to deconstruct the very category “Gnosticism”), and put forth the claim that while certain figures are rightly intellectuals they are not “Gnostics” but rather “Christians.” For Hurtado, the anonymous tractates in the Nag Hammadi codices remain nothing more than esoteric mumbo-jumbo, i.e., they are still “Gnostic” and thus not intellectual. As a social historian, I still like to think that we can know something about past cultures. However, if I’ve learned anything from my method & theory exemplars over the years, it is to appreciate the value of stepping back and “studying the study of.” Indeed, this theoretical standpoint is a subtext in nearly all my teaching and much of my scholarship. How the past is shaped, directed, juxtaposed, and selectively presented is perhaps far more insightful to the student in religious studies than the actual “facts” (events, persons, things, etc) – even if those “facts” are not in dispute per se. The question of whether the so-called Gnostics are intellectuals is a wonderful case study. Here we have a noted scholar of early Christianity aligning his “facts” along conflicting classification lines with what seems like a very modern apologetic subtext. As Karen King (What Is Gnosticism? [Harvard University Press, 2003]) has effectively demonstrated, much of scholarship on Gnosticism – including the very category “Gnosticism” – has fallen along an orthodoxy/heresy demarcation in church history as a way of marking a lineage of insider vs. outsider (or normative vs. aberrant Christianity). Similarly, Michel Desjardins in a paper delivered at a conference in the 1990s cautioned scholars to recognize the Catholic vs. Protestant narrative underlying much of scholarly treatments of Gnosticism. In other words, the use of historical categories often serves modern agendas rather than functioning as tools for unlocking past cultures. The discussion then shifts into a common caricature of Gnosticism; i.e., an anti-cosmic worldview. But notice how Hurtado describes the Gnostics: their “knowledge” is not intellectual but esoteric, a “bunch of ‘mumbo-jumbo’” that is “deliberatively intended to make little sense.” Hurtado even goes as far as claiming that this “mumbo-jumbo” would make no sense within the intellectual climate of antiquity, let alone in our day and age! Their aim and approach, however, wasn’t “intellectual.” They didn’t seek to understand through inquiry and argumentation. They didn’t seek to project and commend their views through patient exposition, argumentation, and the exercise of rational thinking. These were people who may well have imagined that they had some sort of superiority spiritually, i.e., he [sic] sort of souls (and they were really interested only in their souls) that regarded themselves as by nature more attuned to divine things perhaps, certainly superior to “mere” Christians. Here being “intellectual” or “rational” is tied to inquiry, argumentation, and rational thinking. For Hurtado’s audience (as a blog extends scholarly discussions far beyond an academic audience, including I assume for this blog many who have confessional concerns about “authentic” Christianity) the peculiar mythological language found in many of the Nag Hammadi tractates would certainly stand in contrast to our modern, Western scientific paradigms of inquiry, argument, and rational thinking. 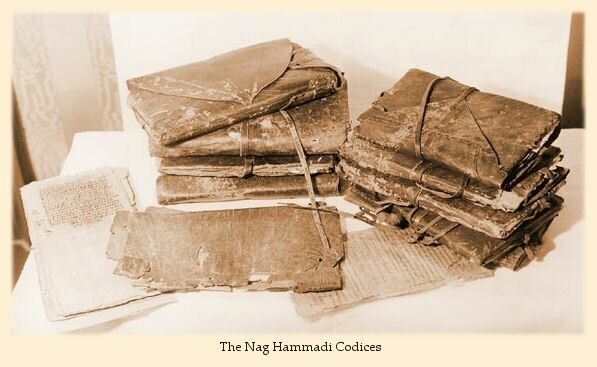 I still recall when I first read the Nag Hammadi texts as a first-year undergraduate student in the late 1980s. They made absolutely no sense to me. They were so alien and esoteric to me that I fell in love with them and have spent more than twenty years studying them. They are weird texts by today’s intellectual paradigms. Therefore, Hurtado’s discursive move is fascinating. It does not reflect the intellectual climate of late antiquity, but rather engages a modern scientific paradigm that his blog readers may find greater resonance with than they would with an ancient philosophical discussion. For those reading these texts via the lens set forth by Hurtado, these texts certainly are filled with “mumbo-jumbo.” They are esoteric because they are weird and unfamiliar. They are also texts that are occasionally perceived as a threat to modern Christians. We only need to look at the popularity of Dan Brown’s The DaVinci Code or the controversy surrounding such “apocryphal” texts as the Gospel of Judas and the so-called Gospel of Jesus’ Wife to appreciate the challenge that “heresy” (as a modern, yet positive construct) poses to “orthodoxy” (as a modern, normative “religion” under attack in what is seen as an age of anti-Christian secularism/pluralism). By applying a modern notion of “intellectual” onto late antiquity, Hurtado effects both a demarcation of true and false Christianity (recall King’s What Is Gnosticism?) and a criterion for establishing which Christianity fits into the true and the false typologies (by challenging claims of intellectual elitism). In his rejoinder to DeConick, Hurtado further uses the category “Gnosticism” to buffer his argument against the “exceptions.” While recognizing the move among many scholars to deconstruct the very category, he continues to use the category as a polemical device. Valentinus, for example, is moved out of the “Gnostic” camp and placed within the “Christian” camp. For a scholar such as myself, who has spent several years trying to re-position Valentinianism within the contours of diverse early Christianities, Hurtado’s move is appealing – at least initially. His pluralism, however, still works within dichotomous “intellectual” vs. “mumbo-jumbo” typologies, typologies that are aligned with “normative” vs. “aberrant” categories of Christianity. If you want what we would recognize as people trying to act like “intellectuals,” you’ll have to read writers such as Justin Martyr, Athenagoras, Tatian, Tertullian, Irenaeus, and Origen (to stay with the early ones). Fascinating is the positioning of “orthodox” thinkers. Hurtado overlooks that some of these thinkers, especially Origen (and I would add Clement of Alexandria), engaged in similar philosophical speculations as the people they attacked as “heretics” (and likely there was some mutual influence at work). Origen in particular was as driven by Platonic thinking in his cosmogony and Trinitarian thinking as any Valentinian (a point I tried to argue at length on pneumatology in Origen’s First Principles and Valentinianism in my article, “The Holy Spirit’s Role in Origen’s Trinitarian System: A Comparison with Valentinian Pneumatology,” Theoforum 32 : 131-64). Even the theological “innovations” of later theologians could be read in earlier texts such as the Gospel of Philip or the Gospel of Truth. As for moral discourse (including hortatory social rhetoric or paraenesis), we can find the same ethical argumentation in these Nag Hammadi texts (e.g., the Interpretation of Knowledge) as we do in other early Christian texts (for more on Valentinian paraenesis see Valentinian Ethics). My point here is that there is a great deal of overlap and influencing going on even between those thinkers and texts that conflicted with each other in late antiquity. That dynamic, perhaps even symbiotic, set of relations is conveniently lost within Hurtado’s “Gnostic” vs. “(Christian) intellectual” dichotomy. The convenience is that the discursive repositioning effectively serves modern debates over “normative” Christianity. The historic memory now serves the modern context. The flipside of this whole historiography of Gnosticism also evokes ideological claims, or at least could be seen as such. While Hurtado’s posts could be read as apologetic for “traditional” Christianity, DeConick’s response could also be read as an apologetic for the “Gnostics.” Indeed, even my post here could be taken in this light! Although all three of us may not be engaging polemics/apologetics consciously, we may still be so engaged. There has been a tendency in Nag Hammadi scholarship to balance off the polemics of the Church Fathers, especially Irenaeus, Tertullian, and Epiphanius among others, by placing emphasis on the positive aspects of “Gnosticism”: they are intellectual, they are a viable form of early Christianity, they are not “fringe” movements, etc. Even the enthusiastic claims made about the Nag Hammadi codices over against the Fathers is telling (i.e., finally we can read the Gnostics’ own words rather than depending on the attacks of the Fathers, as if there were no methodological problems with the Nag Hammadi material!). It is hard to read DeConick’s response without feeling that there is a subtext of “hey, they really are intellectual and thus important!” – There seems to be something more at stake than just history as history. So while we may debate the “facts” arising within the debate, perhaps what is more insightful is the way the debate has used categories to shape, direct, juxtapose, and selectively articulate the past as a “historical memory” for modern ideological power struggles. Thus the construction of memory can be seen as reinforcing power structures within the present. In the study of early Christianity (especially when set within popular discourse over religion) apocryphal material is increasingly being used as a site for such ideological struggles. This is one example – a very useful example, I think – of how categorization within the field of religious studies continues to reinforce the epistemological connotations tacitly embedded within objects of discourse by means of acts of discourse. Philip Tite is editor of the Bulletin for the Study of Religion. He holds a Ph.D. in religious studies from McGill University (2005) and is currently an affiliate lecturer at the University of Washington and also teaches at Seattle University in Seattle WA, USA. His most recent book is The Apocryphal Epistle to the Laodiceans: An Epistolarly and Rhetorical Analysis (TENT, 7; Leiden: Brill Academic Publishers, 2012). This entry was posted in Philip L. Tite, Religion and Theory, Uncategorized and tagged ancient intellectuals, April DeConick, Christianity, Classification, Clement of Alexandria, Dan Brown, early Christianity, Einar Thomassen, Elizabeth Claman, Epiphanius, Gnosticism, Gospel of Jesus' Wife, Gospel of Judas, Gospel of Philip, Gospel of Truth, Irenaeus, Jacques Le Goff, John Turner, Karen King, Larry Hurtado, Michael Williams, Michel Desjardins, Nag Hammadi, Neoplatonic, Neopythagorean, Origen, Ptolemy, Pythagorean, Religion, religious studies, Steven Rendall, Tertullian, The DaVinci Code, Valentinus. Bookmark the permalink.